Happy 2013 to all!! As we move fully into this new year and new beginnings, what energy do you feel it holds for you? I typically begin my new year not with resolutions but a few words or phrases that hold a feeling of what I want to invite into my year ahead. Last year my words were; Clarity, Focus and Expansion and it definitely was the overall feel of my year. I added the Biophoton Light Therapy to my practice with a certification course led by Paul McDonald of Meridian Energies in Clarksburg which was an expansion in many ways for me. I began the year with a 10 weeks Holistic Nutrition course with Shawn Nisbet and an 8 week early morning Yoga Challenge with Corrine Penstone at Yoga Source. I also nurtured my spiritual journey with a program called Tending My Soul Garden with Andrea Mathieson of Raven Essences. It was a focused and big learning year. So there was part of me that didn’t want to let go of 2012, I really enjoyed the unfolding of the year and so I delayed my first blog of the New Year to now. Last week after our son returned to Calgary for his next semester at University, I finally accepted that it was time to move forward into this new beginning. I spent some thoughtful time pondering what I wanted this New Year to bring forth because I know how powerful the focus of intention is. I would like to share with you briefly the energy I feel arising for me this year. Deepening: I enjoyed the learning of last year so much, that I now want to deepen my experience in the many areas that expanded for me. My reiki certification courses, the biophoton light therapy practice, my relationship with my husband to name a few. Develop My Dreams: It’s time to put some time lines and action plans to my “Some day I’ll…..” list. That includes travel dreams, putting together my photo books, continuing to declutter my house and continuing to expand my gardens. Developing Strategic Alliances: I am aware of the continued pull to contribute back into my community and will look for other ways to connect with partnerships in this area. 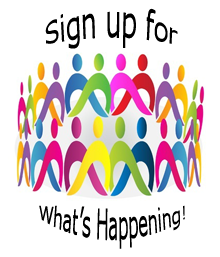 Passport to Wellness 2013 is booked for April 14th and it will contribute to Alzheimer Society of York Region and the York Region Food Network. Stay tuned in for further updates here. 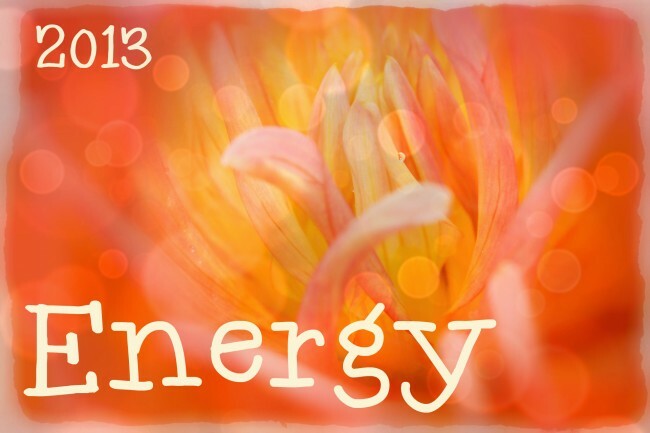 So – what energy does 2013 hold for you? I love to hear other people’s dreams – who knows, maybe I can contribute to them in some way. That’s how the circle of life intertwines through us. May this year bring a spirit of gentleness and heart led experiences for all. Let’s create the world that works for everyone. May peace be with you!! So, please send me your feedback! And don’t forget to leave a link back to your own blog as well, if you have one via the commentluv feature here on the site. https://in-side-out.com/wp-content/uploads/2017/04/insideoutbanner4a1.jpg 0 0 Karen Armstrong https://in-side-out.com/wp-content/uploads/2017/04/insideoutbanner4a1.jpg Karen Armstrong2013-01-15 10:08:102014-05-05 06:26:25What Energy Does 2013 Hold for You? Karen: great blog post to start the new year!!! as usually, gets me thinking about my ongoing business journey with FOX GROUP.ca and my personal journey (2013 will be celebrating 13 years of building the company!!!). I will share the outcome with you and you will get a chuckle with what I came up with next time when we are together for one of your great Reikki or photon treatments! Hi Roberta – thanks for the chuckle which is already starting as I read your reply and anticipate what you will be sharing with me! I have always admired you for your vision and focus so may you keep inspiring those in your world. Also I appreciate your recent referral for reiki – I will do my part to make it a win/win outcome all around. May 2013 bring all the richness you deserve. Karen what a fabulous year you had in 2012. Can’t wait to see what 2013 holds for you. You epitomize change and expansion in the fullest sense. May all your goals and dreams manifest for you in magical ways. Thanks Sharon – it’s really fun when we’re on a roll isn’t it!! Thanks for being on my Dream Team – the best is yet to come!